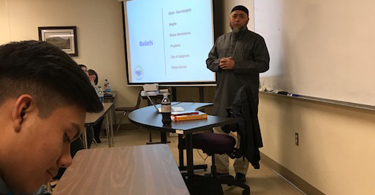 AIOF Director Haroon Sait was at South Piedmont Community College in Monroe to present a class on Islam 101. 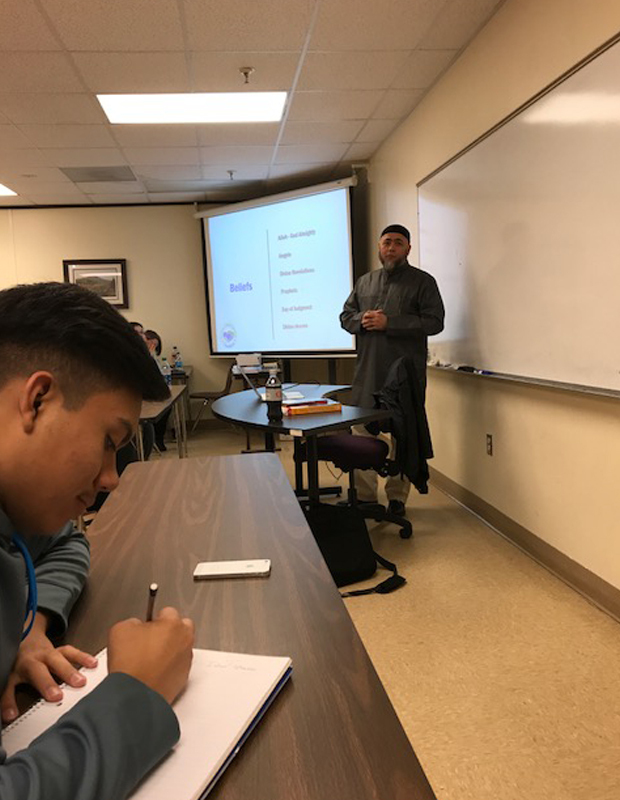 He had talked about the basics of Islam and its beliefs, to about 25 students. After the presentation, many questions were asked about Women’s rights, Jihad and Terrorism. The presentation was very well received, the students were very appreciative with the Free Qurans and brochures, and would like AIOF to come back in the future. The request of came from a teacher, who had seen the Quran Mobile! American Islamic Outreach presentations are to help and provide Islamic information and education to the American public. Many people have questions, incomplete information, and may have misconceptions or uninformed ideas about Islam and Muslims.